Kia Motors America (KMA) today reported September sales of 38,003 units, led for the 22nd straight month by the U.S.-built* Optima. 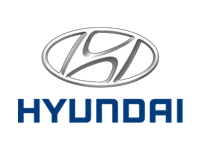 Hyundai Motor America today announced sales for the month of September of 55,102 units, down eight percent versus the same period in 2012, with two fewer selling days. Hyundai Motor America today announced an all-time August sales record of 66,101 units, up eight percent versus the same period in 2012. Kia Motors America (KMA) today reported best-ever August sales of 52,025 units, a 4-percent increase over the same period in 2012. Kia Motors America (KMA) today reported record July sales of 49,004 vehicles, a 1.9-percent increase over the same period in 2012. Hyundai Motor America today announced sales of 66,005 units, up 6.4 percent versus the same period in 2012. Santa Fe and Elantra continue to be star performers. Hyundai Motor America today announced sales of 65,007 units, up two percent versus the same period in 2012 and up one percent the first six months of the year. J.D. Power announced today that the Hyundai Genesis received the trophy for the highest initial quality in the midsize premium car segment. The award comes from the J.D. Power 2013 U.S. Initial Quality StudySM (IQS). J.D. Power and Associates’ 2013 Initial Quality Study (IQS) has ranked the Kia Soul and Kia Sportage as leaders in the Compact Multi-Purpose Vehicle and Sub-Compact CUV segments, respectively.